From Minane Bridge in Cork, Dan was born in 1983. From a very young age as a boy soprano he performed works such as ‘The Rat Pack’ in various Primary School Concerts. At the age of 9 he the local Parish Choir under the leadership of Clare Canty where he first gained confidence in singing. In 1993 he took part for the first time in the GAA Competition Scór na bPáisti. He went on to perform in competitions such as The Cork Community Games, Readoiri, Scór na nÓg, Scor Sinsear, Macra na Feirme National Talent Competition, Feis Maitiú and the ESB Feis Ceoil. Dan has a degree in Landscape Horticulture from University College Dublin. While at UCD he became a member of the UCD Choir and in 2005 received a scholarship for 1 year to the prestigious UCD Choral Scholars Choir under the leadership of Desmond Earley. He has travelled extensively with various choirs competing at a Choral Festival in Lake Garda Italy, performed a choir at a wedding in Johannesburg South Africa and the Victoria & Albert Waterfront in Cape Town South Africa, performed Mozart’s Requiem, Faure Requiem and the World Premier of the Karl Jenkin’s ‘Gloria’ at the Royal Albert Hall in London, the World Choir Games in Graz Austria of which his choir won a bronze medal. In 2009 Dan won an All-Ireland Title in Solo Singing at the Macra na Feirme National Talent Competition held at the National Concert Hall, Dublin. Most recently in 2010 Dan won the Presidents Perpetual Cup in Cork’s Feis Maitiú Competition. In 2009 Dan a Cork based Vocal Group known as ‘The Eden Singers‘ who have performed extensively in weddings, funerals, competitions, corporate events and concerts. In 2011, Dan applied for a new show on RTE ONE entitled ‘The Voice of Ireland’. He was delighted to be asked to audition in Temple Bar Hotel, Dublin in mid September 2011. There were over 1,400 people auditioned over a few days, 150 were chosen from this process to qualify for the ‘Blind Auditions’ stage of the show. Dan’s Blind Audition was televised from ‘The Helix’ at Dublin City University on Sunday 8th January 2012 where he performed ‘Nella Fantasia’ and was thrilled when well known singer and musician, Sharon Corr selected him for her team to go forward to the ‘Battle Shows’ stage. Dan performed a duet in the ‘Battle Show’ on Sunday 12th February with Vanessa Whelan, a Soprano from Waterford. The song chosen for both was the infamous ‘Time to Say Goodbye’. Unfortunately, Dan did not qualify for the next round of the competition but it has been an overwhelming experience for him which he will remember for the rest of his life! Business began to grow in a big way for Dan in 2012 due to his appearance on ‘The Voice of Ireland’ and in September 2012 Dan received the Southern Brides ‘Best Wedding Singer’ Award as a for 2012. Dan then began studying voice under the renowned Mr. Robert Beare. 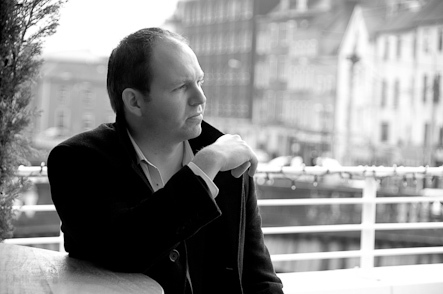 In September 2012 Dan also joined a Cork based Chamber Choir called ‘Voci Nuove’ which comprises primarily of students from the music field and otherwise. Dan is really enjoying working with them also! This choir have had many successes at Cork International Choral Festival winning the John Mannion Trophy in May 2013 and also were the Overall Winners of the City of Derry International Choral Festival in Oct 2013. In March 2013, Dan competed in four competitions in Cork’s Feis Maitiú Competition which took place at Father Matthew Hall. Dan did extremely well in these competitions where he was overall winner of ‘The Operatic Cup’ by performing ‘Un’ aura amorosa’ by W.A Mozart from ‘Cosi fan Tutte’ which placed him at 89 Marks with a Gold Medal and Perpetual Cup for his efforts. Dan also went on to ‘The Duhallow Award’ for Early Music by performing ‘Per La Gloria d’Adorarvi’ by Bononcini and ‘I Attempt From Loves Sickness to Fly’ by Purcell and this placed him at 89 Marks also. Dan also performed in the ‘Oratorio’ and ‘Lieder’ Classes in the competition and was commended with a Certificate in the Lieder Competition. Dan has undergone voice training over the years with skilled people such as Cork Soprano, Fiona O’ Reilly, Robert Beare (former teacher at CIT Cork School of Music), Mary MacSweeney (current teacher at CIT Cork School of Music) and Stephen Wallace from DIT Conservatory of Music and Drama. In 2014, Dan completed exams with the Associated Board of Royal Schools of Music (ABRSM) and received a Distinction (90%) in Grade 5 Music Theory and Grade 8 Singing Performance! In 2015, Dan went further in his studies to pursue a Licentiate of Trinity College London (LTCL) Performance Diploma in Singing. Dan was thrilled to get the result of this, another starkling Distinction (93%)! In November 2016, Dan released his debut album entitled ‘Stranger in Paradise’ at ‘The Kingsley Hotel’ in Cork City.